First, author Justin Seeley explains the basic elements that make vector graphics-paths, strokes, and fills-and shows how to use each of the program's powerful drawing tools. Then he shows how to create documents and liven up a project with color, plus build complex shapes from simple paths and trace bitmap images and line art. The course also explores the benefits of using layers and symbols, and shows how to edit text, draw in perspective, and much more. The final chapter explains how to output your work in multiple formats and use Illustrator files in Photoshop and InDesign. Want to stay up to date with the latest Creative Cloud to offer? In this course, Justin Seeley tackled Illustrator, keeping you informed about all the latest enhancements and new features. New releases will be added every time Adobe releases a major update. To start, Justin reviews Live Rectangles, the new Pen and Pencil tool behaviors, and the ability to find the missing fonts with Typekit. Check back often for new tutorials. Have you ever changed the data manually to make multiple copies of the same design? If so, you know it can be tedious and time consuming. 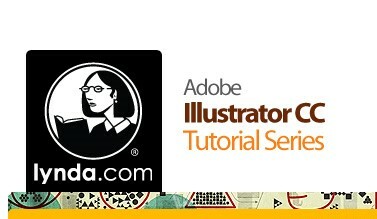 Learn how to dynamically populate new information into a design and quickly generate multiple versions of Adobe Illustrator Variable Data. Designer John Garrett appreciates many different types of variables and their practical uses, including generating business cards and direct mailers. In this course, he explains how to use variable data, including managing linked images, graphics, tables of data, and graphs. He covers the entire workflow, from setup to exporting dynamic batches.